On your school trip to Williamsburg you may want to visit Busch Gardens which is an entertaining amusement park. They have thrilling rides, shows, and fascinating animals. The students can take an animal tour as part of the experience. This is a great place to unwind and relax with your group. The rides at Busch Gardens are fun and exhilarating for students of all ages. 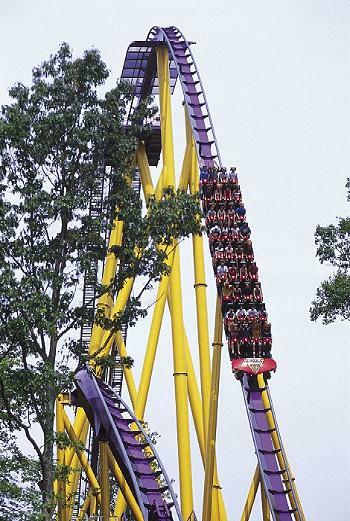 There are several roller-coasters for visitors to explore. One of the coasters is known as the Griffon. During the ride, students will experience a freefall at 75 mph. The drop is 205 feet and has a 90 degree angle. Your heart will be pounding as you anticipate the freefall. Another fun coaster is known as Apollo’s Chariot. While you are riding, the group will experience mind-binding climbs as you travel at high speeds. There are several entertaining shows to enjoy as part of your group visit to Busch Gardens. For example, there is a show known as the Secret Life of Predators. During the presentation, students will learn about Predators that are found in North America. You may be surprised by what secrets are revealed during the program. The park also contains restaurants where you will find quality cuisine for your students to enjoy. You can get a taste of Ireland, France, and Italy all in one place. There are also shops where you will find gifts and souvenirs such as Busch Gardens themed merchandise and items from Ireland, France, and Germany. There is a variety of pottery at New France’s Caribou Shop. The students can add their own personal touch to the pottery to give to friends or family.